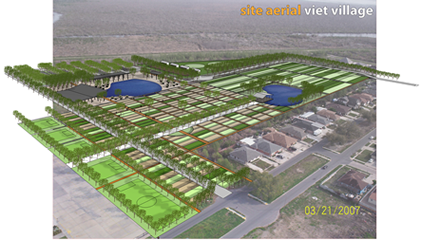 The Viet Village Urban Farm will become the center of New Orleans Vietnamese community that was decimated by Hurricane Katrina. 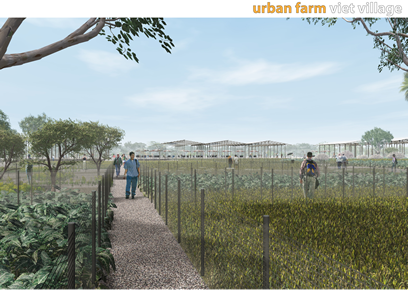 The farm is designed to be sustainable both culturally and environmentally. 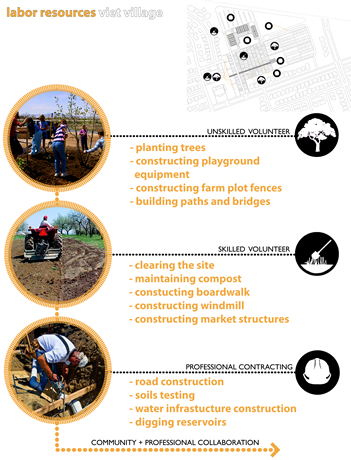 The project builds on a long tradition of productive gardening and farming in New Orleans’ Vietnamese community, and combines it with the entrepreneurial spirit and energy of younger generations. Intuition & Logic was the project civil engineer. 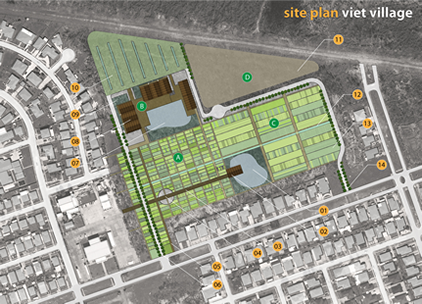 Development features include a Play Ground, Sports Fields, Rain Gardens, Grass Paver Parking Lot, Market Buildings, Public Vehicular Entrance, Pedestrian Entrance, Community Farm Plots, Central Boardwalk, Central Bio-Filtration Canal, Community Pavilion, Central Reservoir, Livestock Farm Area, Compost, Commercial Plots, and Bamboo Groves. The main canal is designed to have standing water 4 to 5 feet deep year round. The side slopes are anticipated to have emergent vegetation establish, mainly water hyacinth, however the center channel should remain clear. 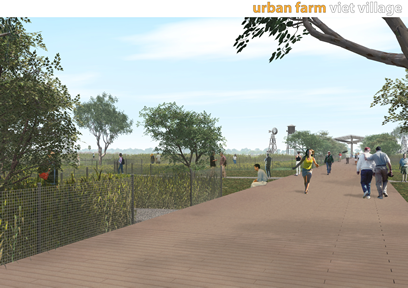 The side canals will be outfitted with a sluice gate or stop log structure for isolation of each channel. This will allow the channel to be drained and cleaned out. The canals and reservoirs/ponds of the site will not only act to distribute water to the farm plots, but will also detain stormwater. 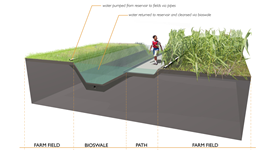 In using these water bodies for stormwater detention, the proposed design of the site must work to accommodate a zero increase for a 10 year storm event.